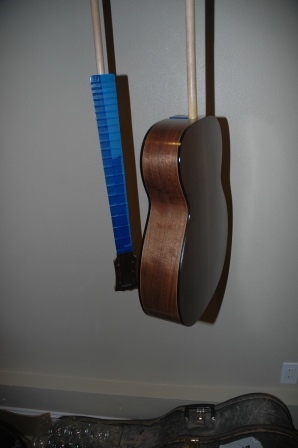 Jim asked if I could tend the fretmarkers toward the bass side. Here are a few options. First, markers moved left and up. 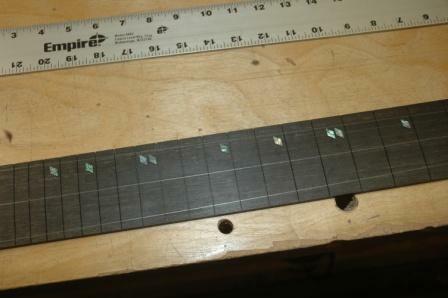 Second option is to skew the diamonds and double up on 5 and 12. 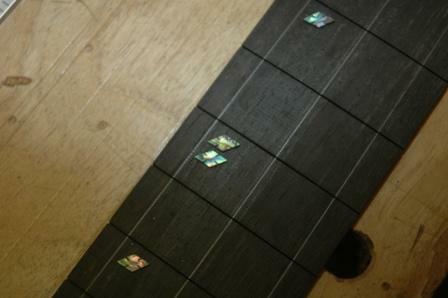 We c0ncluded that paua diamonds would be the choice for fretboard markers after the experiment with wood dots went south. The next decision point (as simple as it may seem) is whether to go with the single marker pattern or to fancy it up a bit with double markers on 5 and 12. This is the single diamond configuration with markers at 3 5 7 9 12 15 and 17. 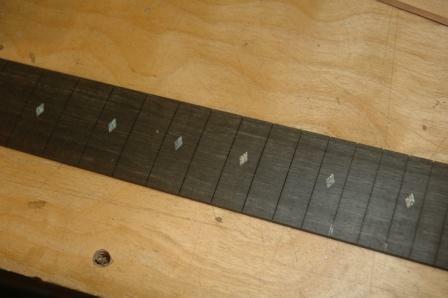 This configuration simply doubles the diamonds on 5 and 12. 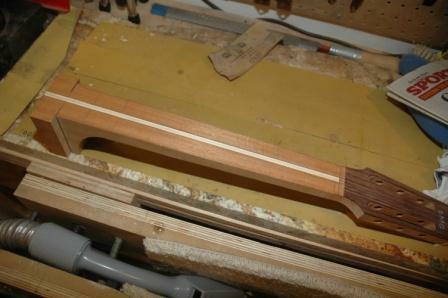 I fully tapered the neck/neck block today using my taper jig and the table saw. 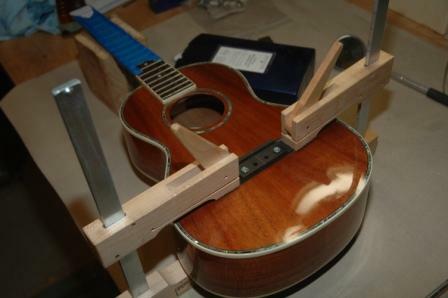 Before I remove any more stock from the cutaway side of the neck block, I’ll need to know the exact dimensional thickness of the sides coming out of the cutaway. 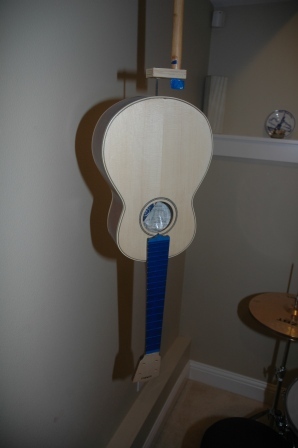 I added the serial number to the inside of the neck block. Well well well. 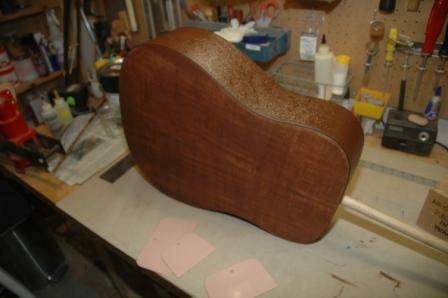 Dove on down to the shop, prepped the body for pore filling and dove in head first. The back was tackled first, followed by side one then side two (A side and B side?). 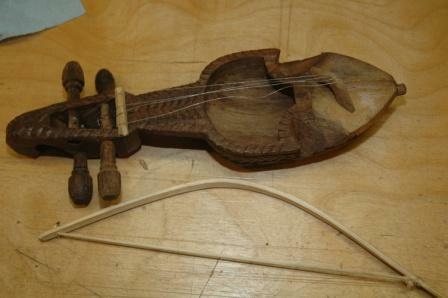 First step was to apply a thick coat with a bristle brush. Its’ consistency is somewhat like tahini. Or maybe, fudge brownie mix. Next, dapple with the brush to force filler into pores. Kind of reminds me of that textured ceiling spray. I only let it sit for 5 minutes before taking the bondo scraper to it at a 45 degree angle. 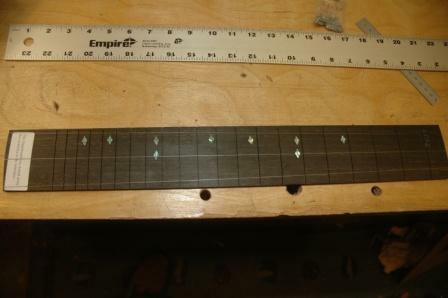 It’s a bit of a messy process, and the filler tends to drool over the sides, and stray globs ended up on the top, but quick action removed the globs sufficiently. 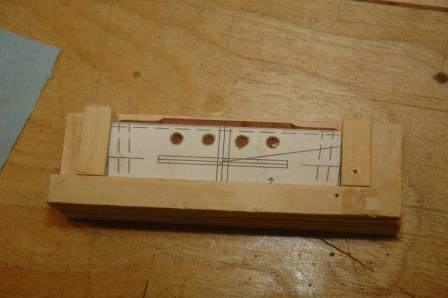 Next the sides were filled, one at a time (A and B, remember? 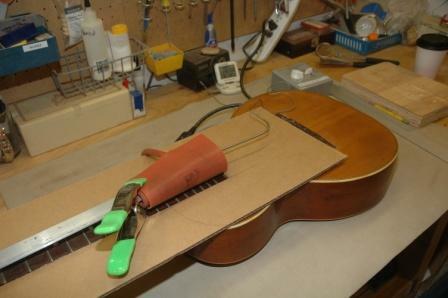 ), as the filler dries quickly, and the guitar is resting on the opposite side while applying. 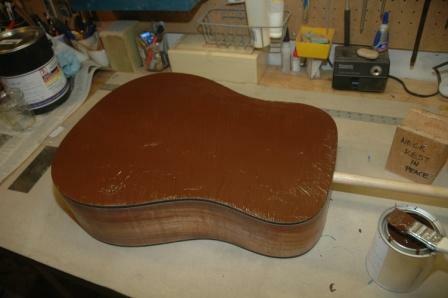 Once all sides and the back were scraped clean, there was still quite a bit of filler floating on the surface. 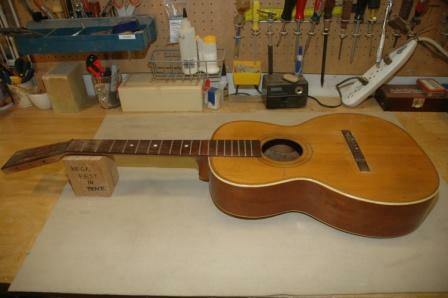 With a shop towel (like burlap), the guitar was buffed, which removed most of the surface filler, yet kept the filled pores filled. 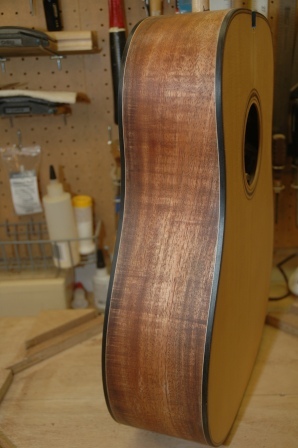 After several hours of setting, I will sand off the remaining filler that still coats the surface, resulting in a resumption of the koa golds, the white purfling, and mirror smooth surface (I hope). 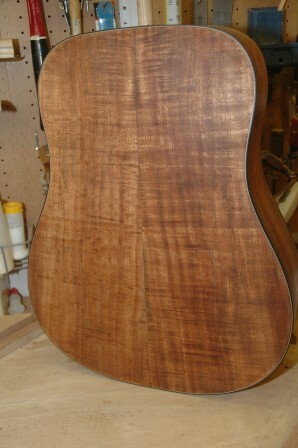 I am NOT going to pore fill the mahogany neck. Or am I? Let me think on this one for a bit. 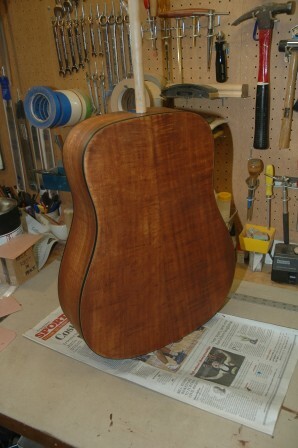 I have applied the first coat sanding sealer to Guitar 1001 in preparation for pore filling. 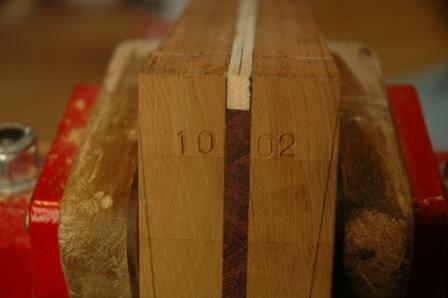 Today I will apply the pore filler first coat. 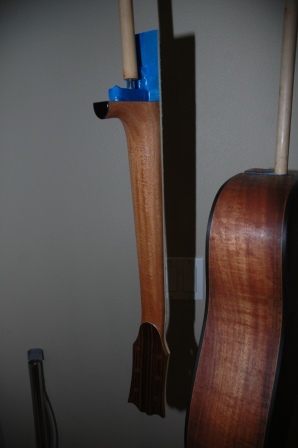 For the uke and the OM Walnut under construction, I used Z-Poxy as the pore filler with results that were not fully to my liking. Although Z-Poxy is appropriate for pore filling, the application and knock down are difficult and time consuming. Hearkening back to my lazy disposition, and not enjoying the whole knock down process, I will use a more traditional pore filling product, Chemcraft Pore Filler from LMI. 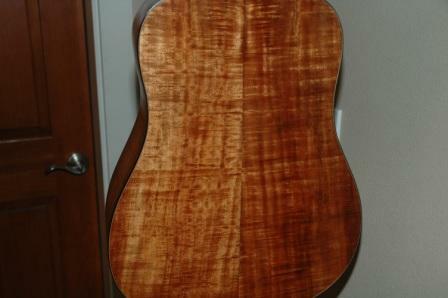 I ordered a pint of Chemcraft, colored Medium Brown, appropriate for koa, and it arrived earlier this week. 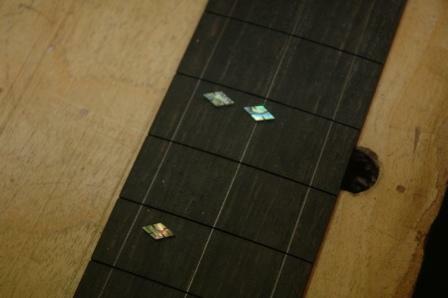 I have used Chemcraft on previous guitars with good results, but this time I’m determined to get exceptional results. I learned from my previous forays with Chemcraft that one application is not enough: the pores get semi-filled with one application, and two or more will be necessary to get mirror finish results (or full pore filling). The online instructions from LMI are extensive for Chemcraft. To gather my thoughts, I’ll recap here for you instruction geeks, and to set a roadmap for my work today. 1. 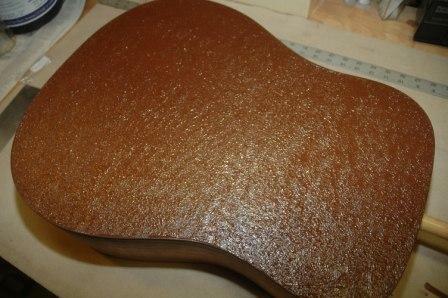 1 coat of sanding sealer (lacquer), thin. 2. 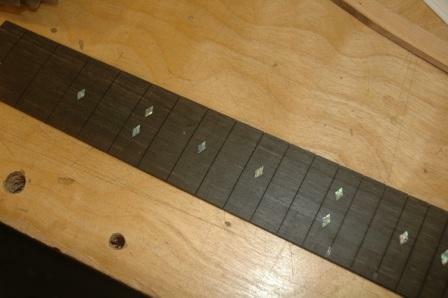 Apply with cheap bristle brush, across the grain. “Hide” the wood under the filler. 3. Blot or poke filler into pores with bristle brush at 90 degree angle. 4. Wait until 70% of shine is gone and filler hazes over. (Guess I’ll need my attenuated shine goggles for this measurement). Instructions say 5 to 20 minutes. 5. 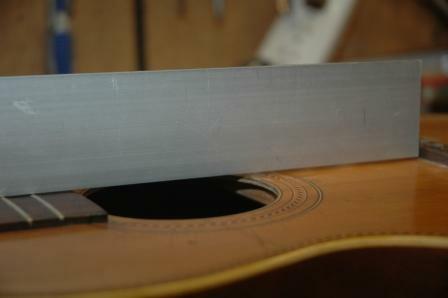 Remove excess with a squeegee into another jar (can be reused) at a 45 degree angle to the grain. I have some bondo squeegees that I’ll give a try. Some builders use old credit cards, etc. 6. 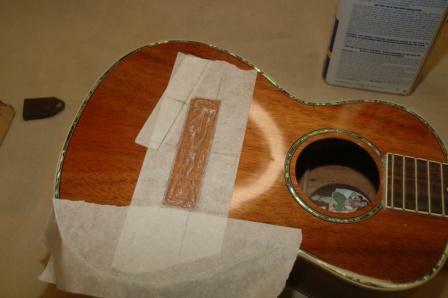 Any thin layer of filler left behind after using the squeegee can be removed with burlap or sanding after 12 – 24 hours of drying time. Burlap can also be used 30 minutes after squeegeeing. 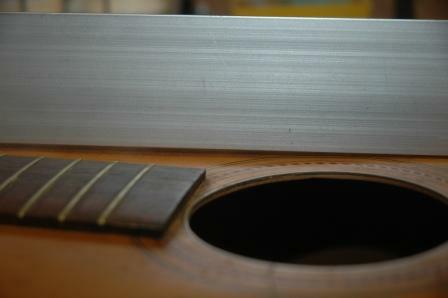 Rub across the grain. 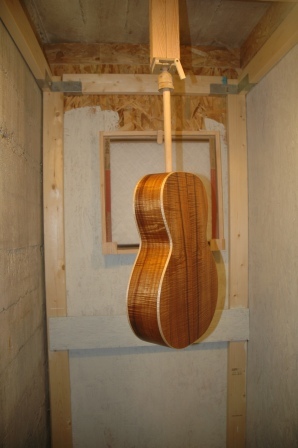 Proper application can result in a one coat only experience. 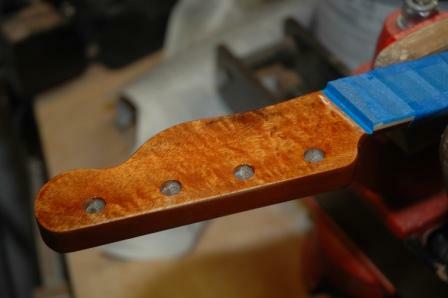 If a second coat is necessary, it will be evident after sanding the dried pore filler.